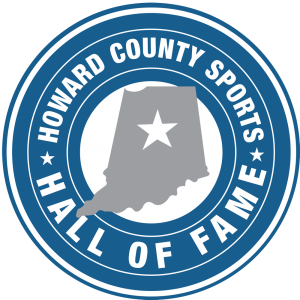 The Howard County Sports Hall of Fame has announced its 10th induction class. Helped lead the Haworth Huskies to the school’s only team state championship – the 1982 IHSAA swimming title. Scored two individual state swim titles in the 1981 and 1982 50-meter freestyle. Also won two state titles as a member of the 1981 and 1982 200-meter relay team. Was an All-American swimmer at Indiana University. One of the best female basketball players to ever come out of Howard County. She is a member of two 1,000 Point Clubs – Kokomo High School (1,056) and the University of Toledo (1,099). She is the No. 2 rebounder is Lady Wildkat history (633). At Toledo, she was named to the All-Mid-American Conference squad her senior year. While playing for Howard County Hall of Fame coach Basil Mawbey, Hogan was named to the 1988 Indiana All-Star squad – the first Wildkat to earn that honor in 26 years. Led the squad to a 24-3 record his senior season. At the University of Florida, broke the school record with 120 3-pointers while being named a team captain. One of the best female high school golfers to come out of Howard County, she was an All-State performer for the Northwestern Tigers. She continued her career at the University of Notre Dame and was named a team captain as a senior. She has won the Howard County Women’s Golf Tournament and is a Class A PGA Professional. Coached the Taylor Titans baseball team for 31 seasons, compiling a record of 537-321 (656-412 overall). Led the squad to the 2000 IHSAA Class 2A baseball state championship and reached the Class 2A Final Four in 2002. Coached 14 Indiana All-Stars and 25 All-State performers; won 12 conference titles. THS field named in his honor. Earned 11 letters at Eastern High School; saw his best success on the football field. Led the Comets to a four-year 35-1 record in the midst of a state record 37-game winning streak. As a running back, his squads outscored the opposition 1,270-167. Continued his career at Purdue University and played on Rose Bowl-winning team. For tickets to the Oct. 27 induction banquet, contact Dean Hockney at (765) 271-0787 or editor@indianasportsjournal.com. Tickets are $25 and are also available at Liberty Financial Group (1213 E. Hoffer St., Kokomo), First Farmers Bank and Trust (501 W. Lincoln Rd., Kokomo) and in the athletic offices of Kokomo, Taylor, Northwestern and Eastern High Schools. This entry was posted in Eastern, High School, Howard County Sports Hall of Fame, Kokomo, Lady Kats, Northwestern, Taylor. Bookmark the permalink.